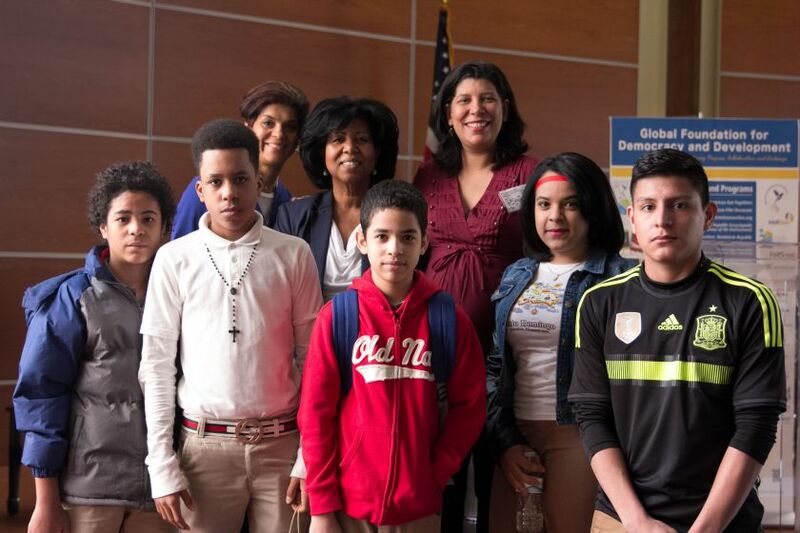 About 200 students from Pyne Poynt Middle School, Woodrow Wilson High School and East High School attended the first Dominican Get-Together of 2015 organized by GFDD/Funglode, held on February 27 in the city of Camden, New Jersey. 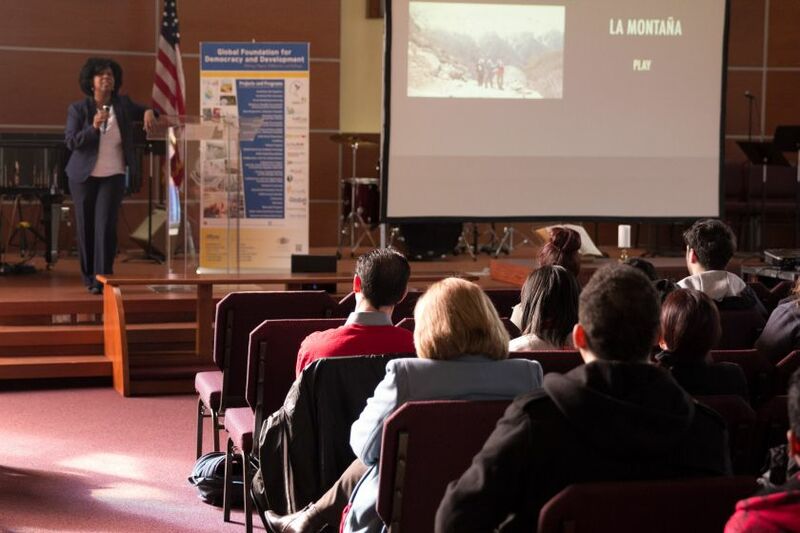 The event took place at the Salvation Army Kroc Center, where participants enjoyed the screening of the documentary La Montaña, a film which presents the adventure of the first Dominican expedition to reach the top of Mount Everest, shows the contrast of the highest mount in the world and the low lands of the Caribbean, as the three climbers surpass the difficult track to the top. La Montaña narrates, at the same time, how three Dominican children, son of fishermen, start their own challenge in climbing the highest mountain of their island. Two parallel stories that remind us that from the sea to the sky, everyone has a dream and their own mountain to climb. GFDD/Funglode staff took the opportunity to talk about the institution and the initiatives developed through its various programs, like the Dominican Get-Togethers which is a way to create opportunities for different audiences to gather around Dominican related issues, enjoy a Dominican movie, meet a Dominican prominent figure, and participate in discussions on topics of interest to the Dominican community in the U.S. and in their country of origin. 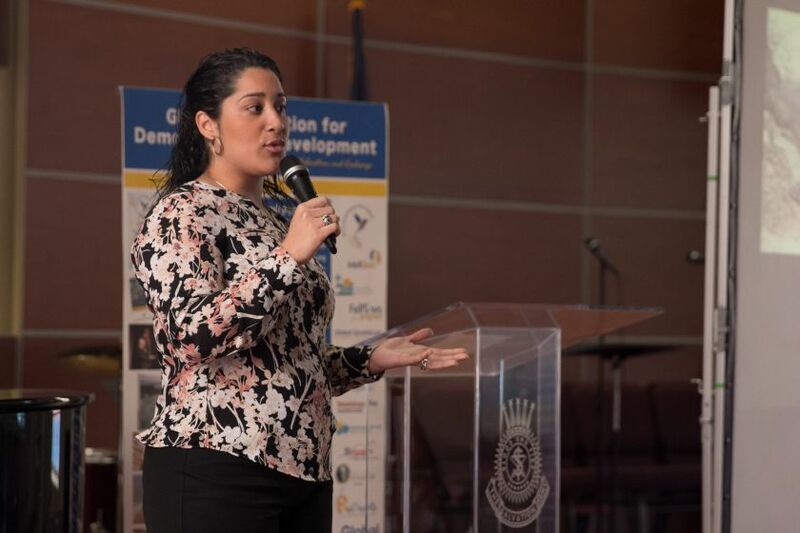 Yamile Eusebio, Director of GFDD office in New York, stressed the importance of promoting the Dominican culture through these initiatives and said that she was "very happy to show a story full of positive messages, particularly for the youth, while sharing with students and teachers.” Mrs. Eusebio gave special thanks to Mildred E. Rojas, President of the Professional Latinas Alliance,"for supporting our initiatives and for coordinating the participation of the students." 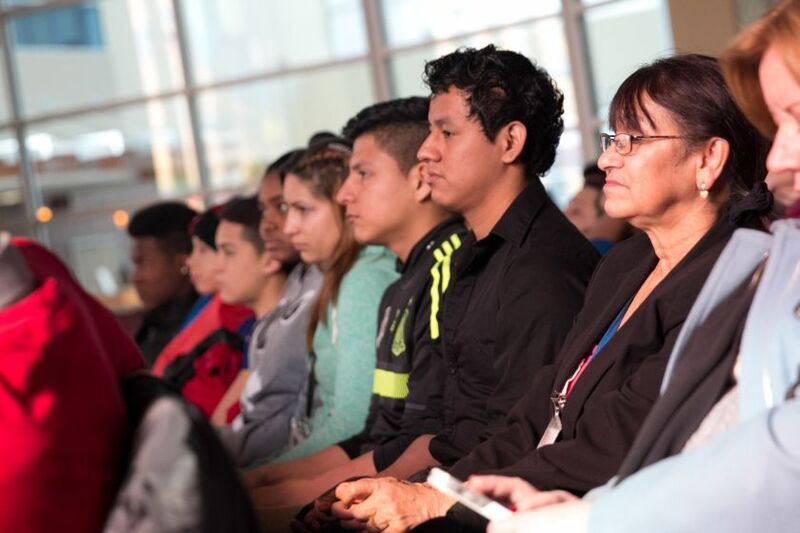 She also acknowledged Miguel Martinez of Met East High School and Taisha Minier, Camden City School Board Member for their support as well. At the end of the film screening the youth participated in a trivia about the film, where the winners got the book Dominican Republic Encyclopedic Dictionary of the Environment and gift cards for the value of $20 from Barnes & Nobles.